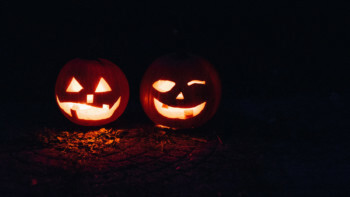 First come’s first serve – On halloween and in business. Familiar? We know how it goes. Get your business ideas out of your head and infront of customers, they will help steer you…if you listen closely. In parallel, some entrepreneurs are crippled by fear. If that’s you, keep in mind that life is happening now and indecision is still a decision. A. Reflect – where do you find joy in life? When you’re not busy or distracted, what do you instinctually find yourself gravitating towards to occupy your time? B. Consider your tendencies – what are your innate characteristics? When you were very young, what type of child were you? C. Combine 1 & 2. What do you enjoy, that you’re naturally good at based on who you are as a person? How can you monetize that passion? You can think (or worry) about doing great things, or you can take action and make them happen? Whether you want the most candy or an exit- You don’t get what you deserve, you get what you work for. Perseverance is what separates good from great. I bet you’ve heard “Work smarter, not harder”. Well, here’s a secret; The best entrepreneurs do both and they still fail! Entrepreneurs quickly learn their ability to persevere is the difference maker. You’re going to make mistakes, it’s inevitable. If you choose to live life defeated, expect results that mirror your outlook. If you view adversity as opportunity, nothing will prevent you from achieving your goals. Yes, eating that seventh Snickers’ bar may be the most haunting part of your Halloween. There are so many factors that impact the health of your company. However, there are things that are 100% under your control. Productivity is a key component to growth. Halloween gives us a chance to step out of our comfort zone and do something different. Whether it’s your costume or your company, embrace who you are and don’t be scared to be creative. Being different is your competitive advantage! Halloween is a good reminder that you should be out connecting with people.